As I mentioned in a previous review, I wasn’t a huge fan of the first book and I was seriously considering not continuing the series. But I’m so glad I continued because Nora Sakavic doesn’t disappoint in this sequel. 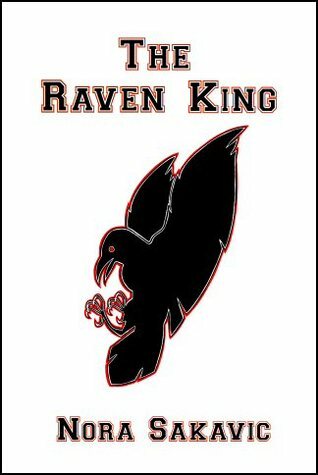 The Raven King picks up straight after the events of book 1, continuing the story of Neil and the Foxes as move forward with the game season, counting down the days until they have to face the Ravens. Alongside this, Neil struggles with hiding his past and keeping it together in the presence of Riko’s menace. The way Sakavic writes is really simple, not too OTT, considering the events of the novel which is what made it really nice to read. It’s fast-paced but not in a way that leaves you confused as she reveals more about the characters and their determination in the rough world of Exy. The characters are developing, as are their relationships, and it’s fascinating but you do find yourself having to stop and think about who is who with some of the other team members, but I was so focused on Neil and Andrew that didn’t bother me as much as it did in the first book. Also, Neil’s one of those characters that you just want to pick up from their novel and place them somewhere safe. BECAUSE SO MUCH BAD STUFF HAPPENS AND HE JUST DOESN’T DESERVE ANY OF IT. And I forgot to mention that the first book in the series is free and the rest are 99p.So cheap for a series that’s so good.